The International Council on Archives (ICA) established International Archives Day in 2007 and selected 9 June to commemorate the founding of the ICA on 9 June 1948. 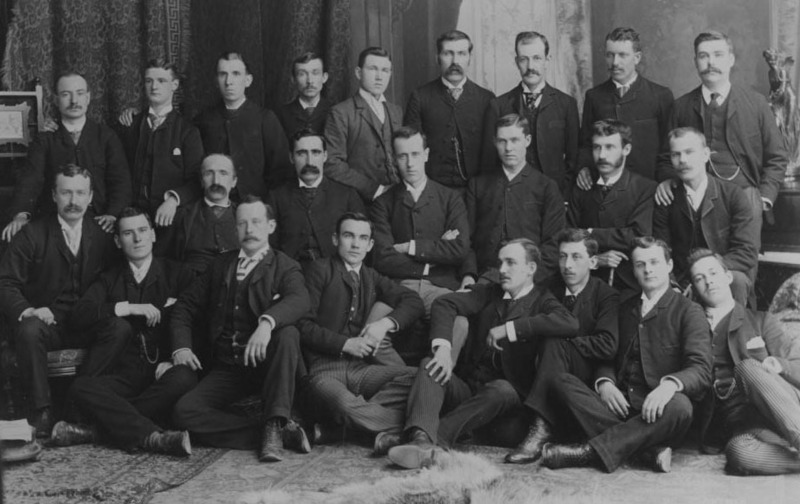 The ICA is an international organization of archivists and archival institutions (the University Archives is a member). Archivists around the world unite their voices to help the public understand why it is important to support archives and the work of archivists. One might think that we have got a full calendar of international days to celebrate. However the public’s image of the archives is foggy: often confused with libraries, archives continue to be perceived as documents for internal use only, which are difficult to access and are of interest only to historians. The perception of records and archives by the public and the organizations that create them is not clear. 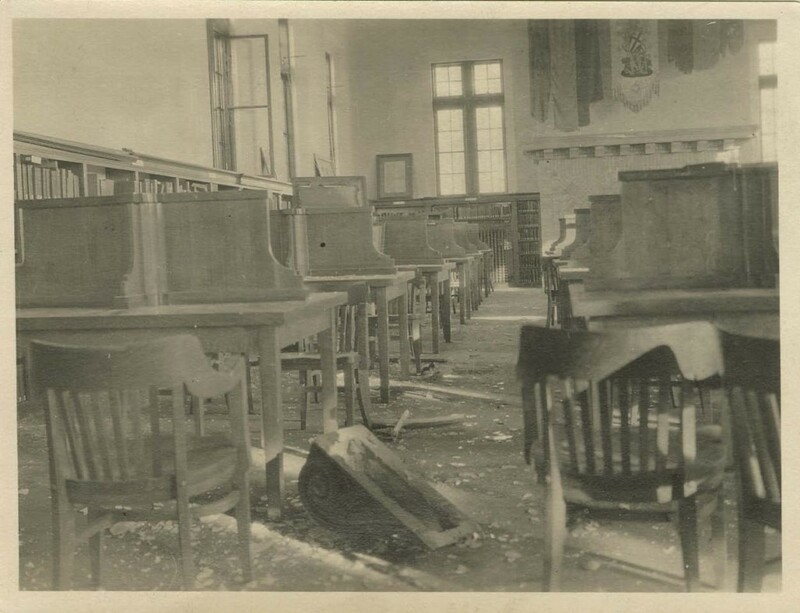 This troubled image has an impact on the financial and human resources that responsible managers and administrators dedicate to records and archives operations and/or institutions. To celebrate, the ICA is collecting documents and images from Archives all over the word and posting them on the International Archives Day website. 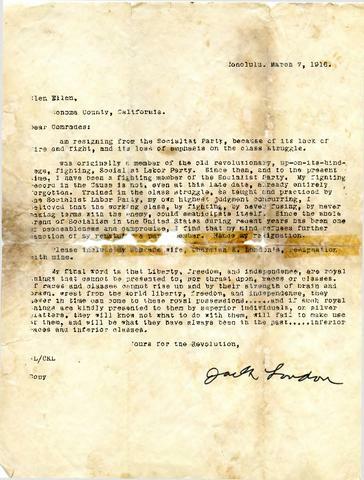 Dalhousie submitted Jack London’s resignation letter from the Socialist Party, found in the Roscoe Alfred Fillmore fonds (MS-10-1, Box 2, Folder 9). 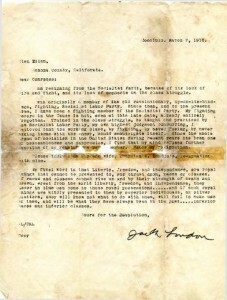 The letter was written from his ranch in Glen Ellen, California and reveals his dissatisfaction with the trends of socialism in the United States. It also announces the resignation of London’s wife, Charmian K. London. Find us on Facebook or check out the Archives catalogue and online collections for more information on archival materials held here at Dalhousie. Dalhousie graduate Dr. Mary Hunter has had a passion for the Arctic since she was just five years old. A classroom display created by her kindergarten teacher ignited Dr. Hunter’s interest in what would become a lifelong love. It wasn’t until after she graduated from medical school at Dalhousie in 1957 that Dr. Hunter had the opportunity to travel north. After experiencing first-hand all that the Arctic and Polar regions has to offer, she fell even more in love with the area. Inspired by the people, the landscape, the fresh air, the flora and the fauna, Dr. Hunter continued to make trips to the Arctic and Antarctic as often as she could, while her medical career took her to Ontario, Trinidad and England. Dr. Hunter also built an extensive personal collection of carefully selected books about the North. The Killam Library is very fortunate to be the recent recipient of this collection, estimated to contain 250 volumes. The collection also contains ten years of back issues and a current subscription to Up Here, a Maclean’s-style magazine for the North. 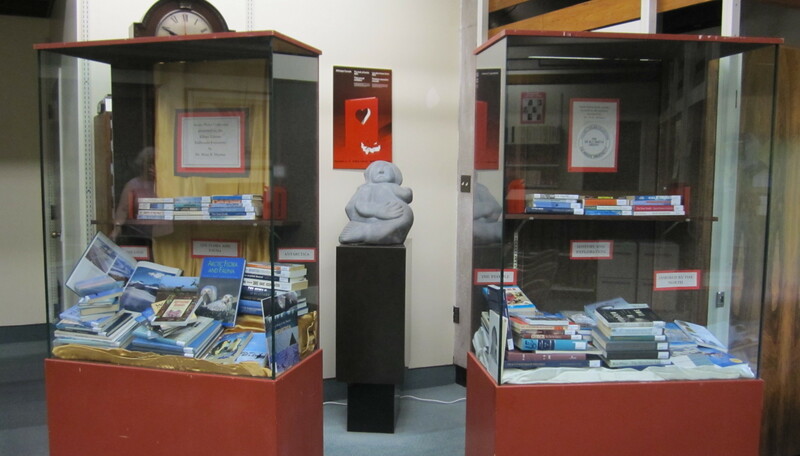 A selection of the books are currently on display in the Special Collections area of the Killam (fifth floor) until Monday, June 4. After that, the books will be interfiled throughout the Killam’s collection, depending on their topic.. The books cover a wide-range of subjects, including history, nature, transportation, climate, art and literature. 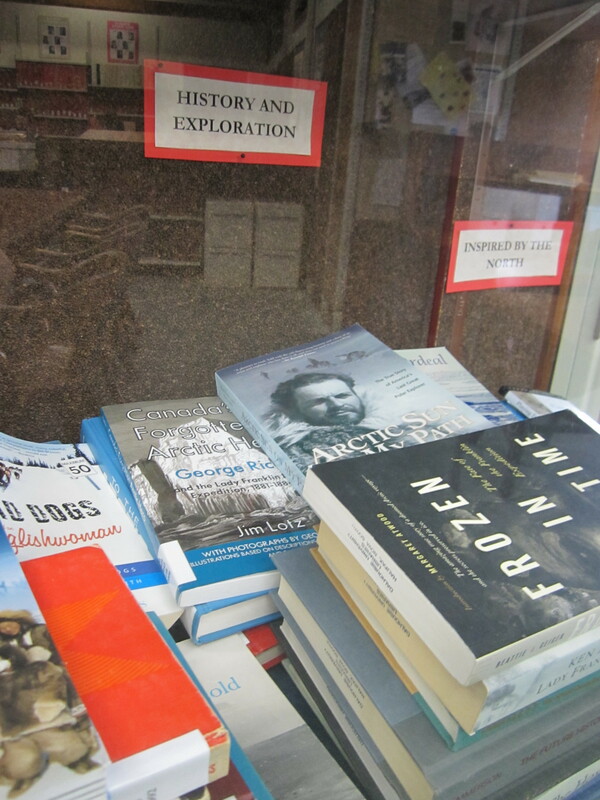 Two of Dr. Hunter’s favourite books among those she donated to Dalhousie is The Long Exile: a Tale of Inuit Betrayal & Survival in the High Arctic by Melanie McGrath and A Complete Guide to Arctic Wildlife by Richard Sale. She recommends these books to anyone who wants to gain a basic understanding of the North. 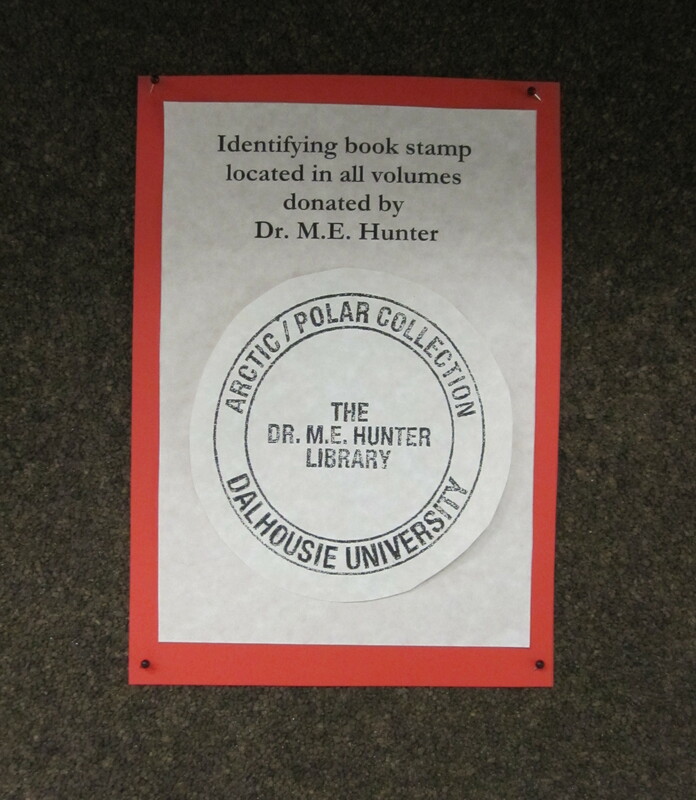 Thank you Dr. Hunter for sharing your collection with the Dalhousie community. We wish you safe travels on your next trip to the North. The two display cases containing some of the books donated by Dr. Hunter. Shown with one of Dr. Hunter's favourite sculptures at Dalhousie. A sample of just some of the books donated by Dr. Hunter. 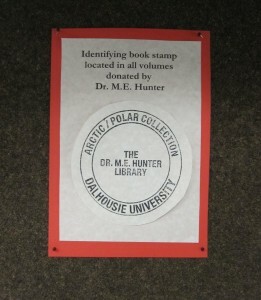 This stamp identifies books donated by Dr. Hunter. The Archives and Special Collections is excited to share news of an upcoming talk at the Maritime Museum of the Atlantic. On December 13 at 7:30 p.m., Elizabeth Peirce will give a talk titled Shaped by the Sea: The Life and Times of Archibald MacMechan. Peirce is the editor of In the Great Days of Sail, a new collection of reprinted MacMechan stories. 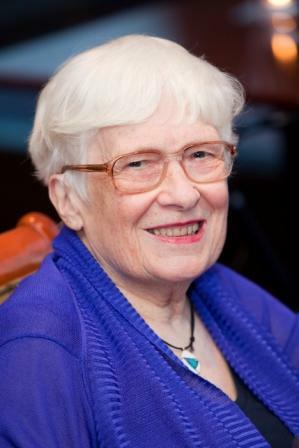 She will speak about MacMechan’s life, times, and contribution to Nova Scotia’s cultural history. Archibald MacMechan (1862-1933) was a well-known Nova Scotian writer, academic, and chronicler of his adopted province’s seafaring past. He taught in the English department of Dalhousie university for many years and counted among his students Lucy Maud Montgomery and Hugh MacLennan. 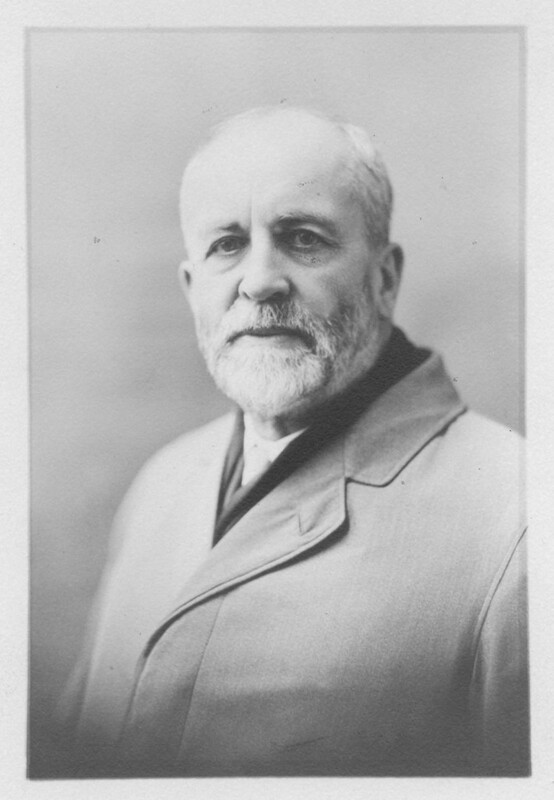 Though well-respected as a scholar–he was among the first to teach a course in Canadian literature and to publish a critical survey of that literature, Headwaters of Canadian Literature, in 1924– MacMechan’s best-remembered work was contained in three collections of stories from Nova Scotia’s golden age of sail: Sagas of the Sea (1923), Old Province Tales (1924), and There Go the Ships (1928). These collections reveal MacMechan’s careful documenting of life at sea in the nineteenth century through many years of correspondence and visits with those who experienced it firsthand; many of his accounts of sea calamities and sheer human endurance through mutinies, storms, fires, and shipwrecks read more like thrilling fiction than bare fact. Like Helen Creighton after him, Archibald MacMechan acted with incredible foresight to salvage an important part of Nova Scotia’s past from oblivion. All talks at the Maritime Museum of the Atlantic take place in the Small Crafts Gallery at 7:30 p.m. We hope you drop in to learn about MacMechan’s many contribution’s to Nova Scotia’s history. If you can’t make it, his papers are here at the Archives and Special Collections on the 5th floor of the Killam Library. …Halifax experienced a tragedy unlike any other in its history. At 8:40 a.m. on December 6, 1917, the SS Mont-Blanc, a fully loaded French munitions ship, collided with the Norwegian relief ship Imo. The Mont-Blanc ship caught fire and exploded roughly 25 minutes later, completely destroying buildings and structures within a two-kilometer radius. Some 2,000 people were killed by debris, fire, and collapsed buildings, and an estimated 9,000 more were injured. Medical Relief Committee (MS-13-49) – Single notebook that contains committee minutes which discuss the care of patients following the Halifax Explosion in 1917. Extent 1 cm. DeMille, Marjorie (MS-2-716) – A letter to Thomas H. Raddall giving an account of the Halifax Explosion, written March 22, 1981; pamphlet about the explosion, 1917. Extent 1 cm. 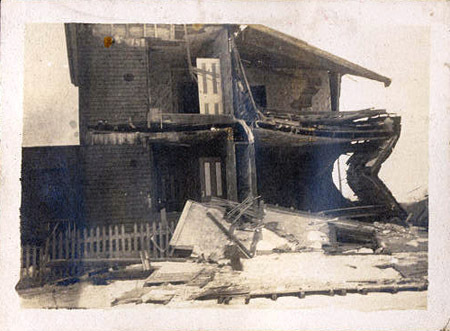 Archibald MacMechan (MS-2-82) – Archibald MacMechan was requested to prepare the official report on the disaster and response. His fonds contains records relating to the report and the Halifax Disaster Record Office, which MacMechan directed for a short time. Photographs, letters, and other materials related to the Halifax Explosion can be found throughout the Archives and Special Collections. Come visit us on the 5th floor of the Killam Memorial Library to find out more. It may still be years away, but here in the Archives and Special Collections, we’re busily anticipating Dalhousie’s 200th anniversary in 2018. 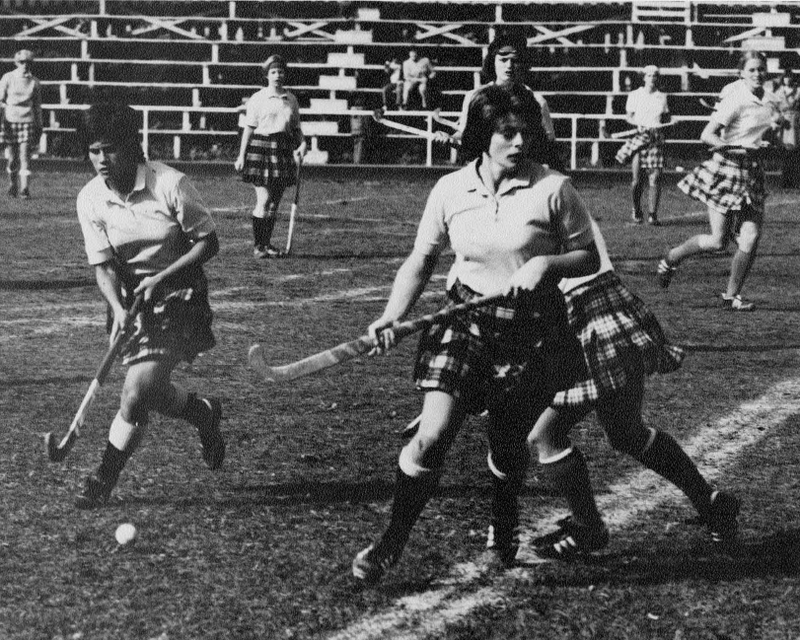 This summer we scanned a batch of University Yearbooks and made them available online in DalSpace, our institutional repository. We’ve already processed some archival records of past university presidents (e.g., Arthur Stanley MacKenzie) and we’re currently processing a variety of faculty papers. We’ve also created a new research guide – a Guide to the History of Dalhousie. The guide pulls together some of our existing indices and research tools and adds links and online resources from other university departments. Over the coming months, we’ll be adding links and other resources to help you research various aspects of Dalhousie’s history and development. The guide is meant for students, external researchers, and Dalhousie faculty and staff. 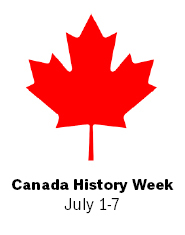 The Dalhousie Libraries are offering free trial access to this primary source database until November 11, 2011. This digital resource brings to life the reality of the First World War for the men and women who experienced it firsthand. 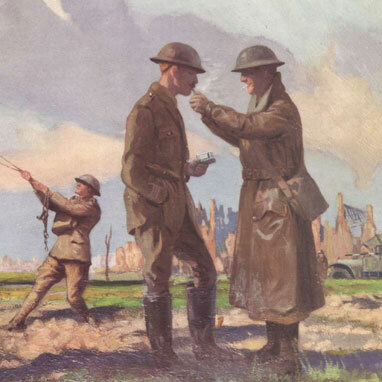 Containing digital images of a wide range of original documents, including diaries, letters, personal narratives, trench journals, scrapbooks, objects, and a wealth of visual sources, this resource provides a rich seam of information on personal experiences of war. It is designed for both teaching and study, from undergraduate to research students and beyond. Supplementing the primary sources is a wealth of secondary resources including interactive maps, 360° panoramas and walk-throughs of the Sanctuary Wood Trench System, the Memory Wall, In Their Own Words feature, scholarly essays, a slideshow gallery, chronology and glossaries. This database is available on campus only. Explore it now, and let us know what you think! The DOE Web Corpus is a database consisting of at least one copy of each text surviving in Old English. It represents over three million words of Old English and just under a million words of Latin, or almost five times the collected works of Shakespeare! The body of surviving Old English texts encompasses a rich diversity of records written on parchment, carved in stone and inscribed in jewelry. These texts include prose, poetry, glosses to Latin texts and inscriptions. In the prose in particular, there is a wide range of texts: saints’ lives, sermons, biblical translations, penitential writings, laws, charters and wills, records (of manumissions, land grants, land sales, land surveys), chronicles, a set of tables for computing the moveable feasts of the Church calendar and for astrological calculations, medical texts, prognostics (the Anglo-Saxon equivalent of the horoscope), charms (such as those for a toothache or an easy labour), and even cryptograms. The DOE Web Corpus is an essential reference tool for scholars of Old and Middle English. Enjoy exploring it at your leisure!